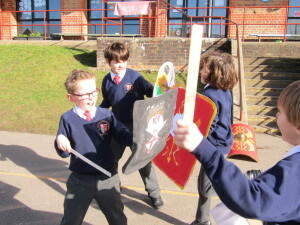 As part of Year 4’s ‘Roman Topic’, the children made their own Roman shields and armory. They designed their shields and painted them. 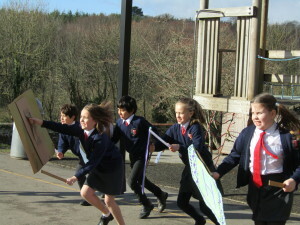 Once they were ready, they took part in a ‘battle’ on the playground. They were joined by one of our Governors David Rowland, who also took part in the battle.